Ep 64 Superman 3 : Do You Expect Us to Talk? 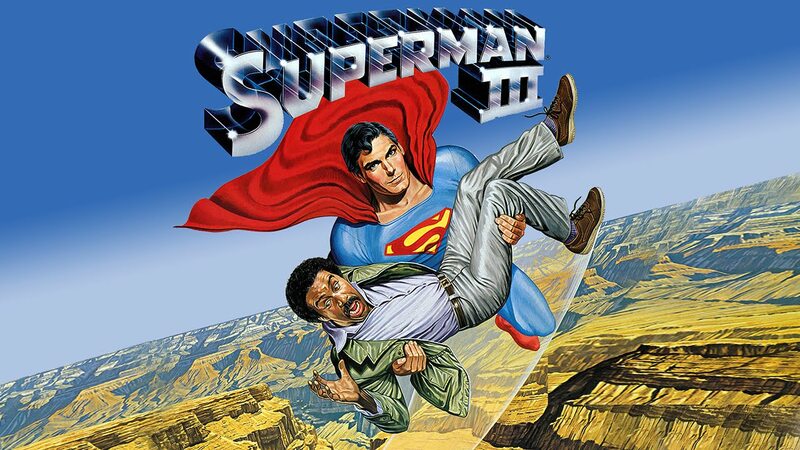 Is a bird… is it a plane… no it’s superman carrying Richard Pryor for artistic reasons that baffle us all to this day. This weeks episode we continue in our flight with the third superman adventure and ponder what was going through their heads as they were making is. Christopher Reeve is back as the man of steel as it quietly pushes Lois out of the story so he can romance out high school crush Lana and her annoying brat of a kid. Meanwhile Gus played by Richard Pryor finds out he’s a computer genius by accident and is used by not Lex Luthor to help control coffee and oil using a machine that controls the weather. Listen as Becca, Dave and Chris talk about this Richard Pryor comedy classic, Superman’s priorities attending birthday parties, what were they thinking, why Gus just doesn’t make any sense, just how that super computer was built, the greatest opening to a movie ever and just what exactly where they thinking. Please send us an email at expectustotalk@gmail.com to give us any feedback or add your own thoughts on any other film series you’d like us to cover.